Ten Essential Oils You’ll Want To Diffuse And Why! Essential oil of cassia smells like Christmas candy! It is antibacterial, antiviral and antifungal, making it a wonderful oil to have in your breathing space when people are coughing all around you. What a wonderful oil to diffuse wherever you go through your day during cold and flu season. 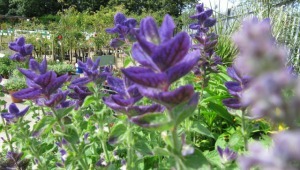 Clary sage essential oil is believed to be beneficial for hormone balance, insomnia, and other symptoms of PMS. You may find it calms you, making it a wonderful oil to diffuse during stressful [and hormone-upset] times! Cedarwood is an essential oil high in sesquiterpenes which means it can affect the emotion centre of the brain. It also encourages the pineal gland to release melatonin which fosters deep sleep. Breathe in this oil all day long during times of congestion, coughs, and bronchitis. Diffuse this fragrant oil from the resin of frankincense when you would like to increase spiritual awareness and stay focused while you are meditating. Breathing in frankincense may also improve your attitude and elevate your spirits! 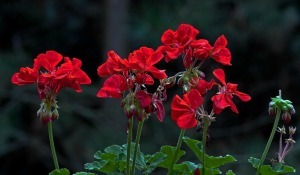 Geranium is another great essential oil for stress. While it calms and balances you, it may help to release negative memories. Diffusing this oil may bring you to a higher level of well-being emotionally so you feel more peaceful and optimistic wherever you go and no matter what is happening around you. 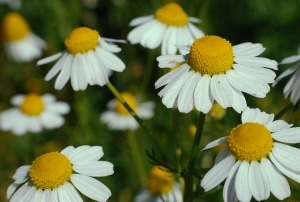 Diffuse german chamomile for a “breath of calm” in a busy day! This essential oil may help you to dispel anger and steady your feelings bringing you back to a clear, calm state of mind, helping you to feel better emotionally and to sleep well. 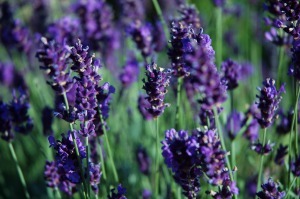 The wonderful essential oil of lavender is well known for its calming, relaxing and balancing effect on the emotions. These properties make it a good oil to diffuse when you are dealing with nervous tension, high blood pressure or depression. Diffuse this in the bedroom for a good nights rest. 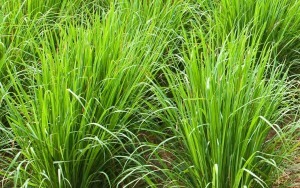 Lemongrass essential oil is fun to diffuse because it is said it helps to make one more intuitive. 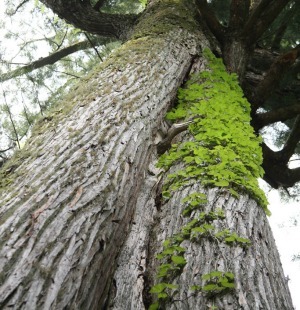 It is also purifying and a natural insect repellent. Diffuse it to stay awake and feel less irritable at work – and at home! 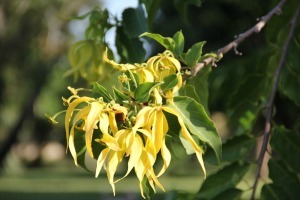 The relaxing fragrance of ylang ylang balances male-female energies. It seems to give you what you need to come into balance. It brings your energy up if it is low and helps to calm you if you need grounding! It also has aphrodisiac properties. Think: calm, balance, confidence, peace, joy. 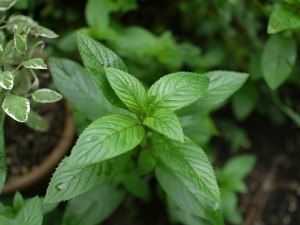 The fresh cool-scented essential oil of peppermint is known as “The Happy Oil”. If you are on a weight-reduction diet, you may like to know that peppermint has been studied for its ability to affect the brain’s satiety centre; the part of the brain that makes us feel full after we’ve eaten enough! It’s also good for headaches, focusing, and depression and can help clear the sinuses! Although there are other applications for Aromatherapy, if you would like to be proactive about your health and wellness, and particularly the state of your emotions, then diffusing essential oils is the most practical and effective way to enjoy their benefits! Why inhale essential oils in the first place? Because essential oils affect the brain and the brain affects the rest of us! Essential oils, naturally, have the ability to help us by bringing about a feeling of calmness or alertness. They can stimulate appetite or a feeling of being full. They can help us feel romantic, grounded, and empowered. They bring back memories and help release trauma. In short, essential oils affect the way we feel and the way we feel affects everything! In fact, essential oils are being studied for their effects on stress, blood pressure and cortisol levels, among many other things! See a link to two published studies here! How Do You Diffuse These Oils Effectively–and Economically? If you want to get the most out of diffusing these oils, you need a way to diffuse them continuously, inexpensively, and effectively wherever you go! This is why we created Terra Cotta Pendants, the diffusers you wear! Terra cotta is the best material for diffusing essential oils, barring none. 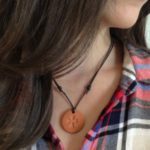 Receive a Free Terra Cotta Pendant with your first order – AND Free Shipping if you order 25 or more (and live in Canada or Continental USA)! Come see over 89 different designs – and counting! These comments are not meant to replace conventional medical treatment advice. ©2007 Terra Cotta Pendants About the author: Lori Gosselin has been studying and sharing information about essential oils since 1997. She has witnessed many profound changes in people when they begin diffusing essential oils into their everyday lives. Together with her family, she started Terra Cotta Pendants in 2003. Terra Cotta Pendants, the “diffusers you wear”, allow you to experience the desired benefits of a chosen oil, via inhalation, effectively and effortlessly throughout your day. And if you are marketing essential oils, they are your best business building tool! 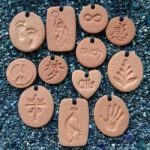 See Marketing Tips, How they Work, Medical Studies on essential oils and inhalation and more at www.Terra-Cotta-Pendants.com. And don’t forget to get on our Special Contacts List so you can get in on our exclusive Specials – details here!